Green tea has so many health benefits. It is one of my favorite pick me up when I do not want coffee. This ice version very different then a traditional Ice tea. 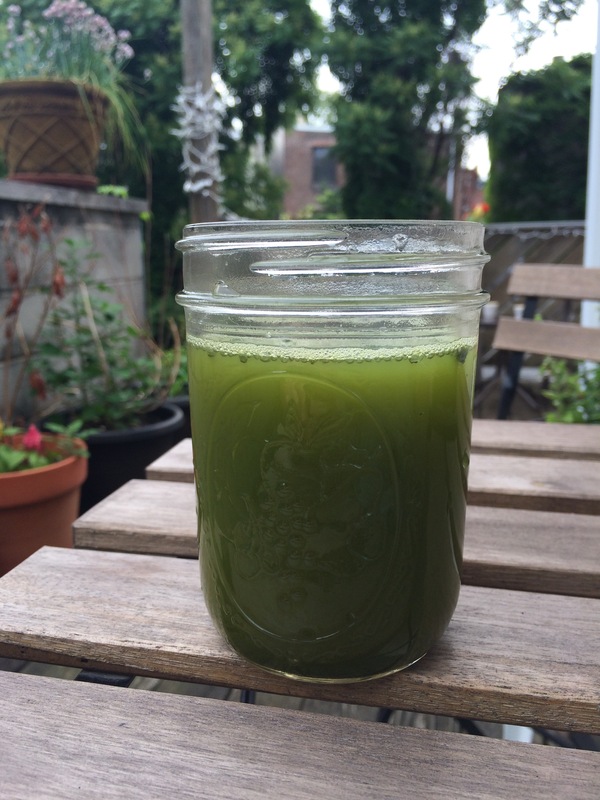 I usually make this in a mason jar since its microwaveable, large enough for a big iced drink and with a lid you can shake to mix everything really well. Start by placing honey in the jar and microwaving for 15 seconds. This will melt the honey so that it’s easier to mix. Next, add the green tea power and stir slightly. Finally, add 12oz warm water and stir or shake well. Finish with the ice and enjoy. I work in Kennett Sq., Pennsylvania, known as the mushroom capital of the world. I have access to all types of fresh mushrooms that are super affordable. This recipe is a nice summer mushroom recipe that goes great with a barbecue. Start by cleaning and slicing all the mushrooms. Next, heat the pan with oil or butter and add mushrooms. Sauté mushrooms over medium heat until they start to brown. Next, add pepper, red wine vinegar and the zest of the orange to the mushrooms. Continue cooking a few minutes and then add the juice of the full oranges. Cook for another min or two until juice begins to reduce and then remove from heat. Please the arugula in a large bowl. 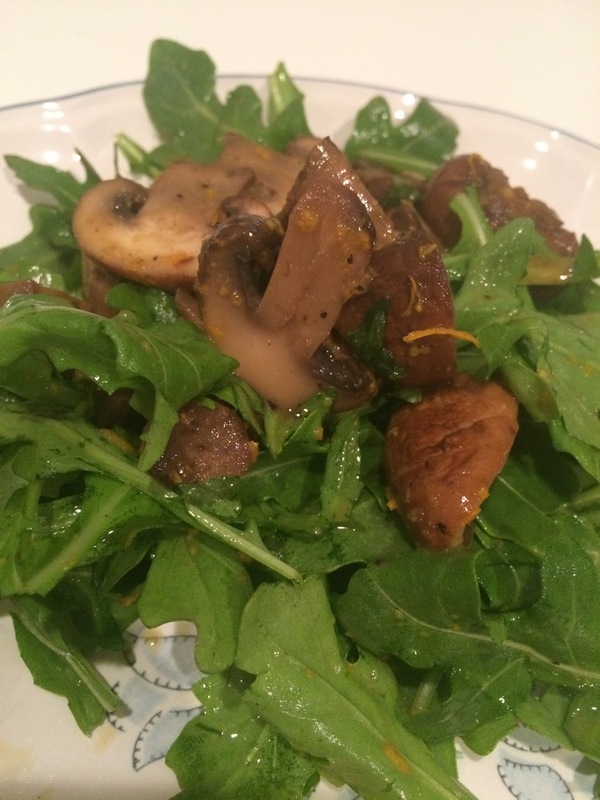 Once your ready to serve and mushrooms have cooled, add mushrooms to arugula and mix well. Serve as soon as possible. Book sales have been great. Interacting with people during different promotional events has made it all worth it. Many people buy the book for loved ones who suffer from Celiac to seize or themselves to learn how to cook new and fun things. This weekend I’m honored to have another book signing at the famous Fante’s Kitchen Shop in Philadelphia’s Italian Market. I will be following in the footsteps of some of the most famous Chef’s. It will be a great weekend to visit the area since it is also the annual Philadelphia Italian Market Festival where people travel from all over to visit the historic market. Stop by to say hi and grab a copy of the book. In other news, I was recently had a radio interviewed about the book and my story. Check out the link below. My part is at the very end.